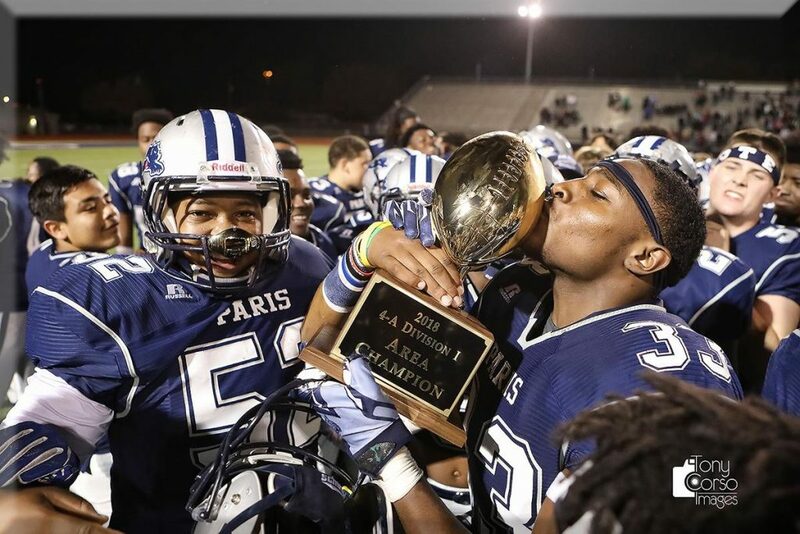 On Friday, the Paris Wildcats kept their season rolling as they defeated the Kennedale Wildcats 35–17. It was two defensive scores that helped seal the win for Paris. In other Area games Friday, Grapeland defeated Detroit 60–0. Clarksville fell to Evadale 42–28. And in six-man football, Fannindel lost to Iredell 58–13. The Pittsburg Pirates beat Rusk 36-21, The Mt Vernon Tigers rolled Madison 52-8, Daingerfield defeated Harmony 48-30, it was Gilmer over Fairfield 24-14 and Paris dominated Kennedale 35-17. So, here is this week’s Region schedule: Pittsburg will take on Lorena Friday night at 7:30 at Royse City, Mt Vernon will play Atlanta Friday night at 7:30 pm at Pine Tree, Daingerfield will travel to Henderson to play Corrigan-Camden at 7:30 pm, Gilmer will take on Pleasant Grove Friday night at 7:30 pm at Allen Eagle Stadium and Paris will battle La Vega at the Star in Frisco on Thursday at 7:30 pm on 101.9 KBUS. The Number 15 Texas A&M Lions lose in the regional semifinals 34–28 to number 6 Tarleton. The Lions end their season at 10–3 after reaching the regional semifinal round for the third consecutive season. As the Dallas Cowboys are preparing to play the New Orleans Saints, reports surfaced that the team will try to extend QB Dak Prescott, Running back Zeke Elliott and Wide Receiver Amari Cooper to long-term deals during the off-season. The Dallas Stars play game two of a four-game road trip tonight in Edmonton. Dallas dropped the first game in Colorado Saturday night 3–2. With Texas A&M’s game with No. 7 LSU tied at 72-72 in the seventh overtime Saturday night and the Aggies set to attempt a two-point conversion, wide receiver Kendrick Rogers grabbed Kellen Mond’s pass that gave A&M a 74-72 victory in a game that tied the NCAA record for most overtimes in an FBS game and the most points. Meanwhile, the 24-17 Texas win over Kansas put the Longhorns in the Big 12 Title game against Oklahoma. The Sooners got there after outscoring West Virginia 59-56. They will play Saturday at AT&T Stadium. Texas Tech has fired coach Kliff Kingsbury after the Red Raiders finished with a third consecutive losing season. Kingsbury had a 35-40 record over six years at Texas Tech, closing this season with a 35-24 loss to Baylor on Saturday that kept the Red Raiders from reaching bowl eligibility. Kingsbury had two years left on his contract with a $4.2 million buyout. In the AP College Football Poll, Ohio State moved up to No. 6 after trouncing rival Michigan. Alabama, Clemson, and Notre Dame are the top three for the sixth straight week. Georgia moved up a spot to No. 4 and Oklahoma is fifth. The unbeaten UCF also moved up a spot to No. 7. No. 9 Texas and Washington round out the top 10. The CFP will be announced Tuesday night.